Notepads Printing... shipped free within the contiguous U.S.
Notepad printing usually takes 7-10 business days (this is just a general guideline) but rush orders are sometimes available. This does NOT factor in your file preparation time or shipping times all of which can vary dramatically. Please call for a more complete turnaround estimate at 1-888-587-2383 ext 1. A: Yes!! 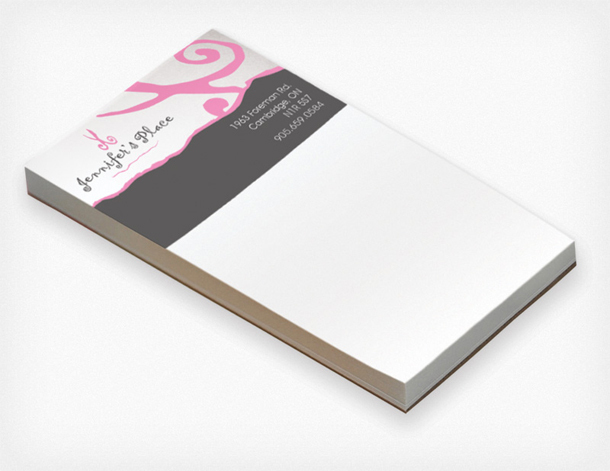 We can design your Notepad for a flat fee of just $79. Read more. 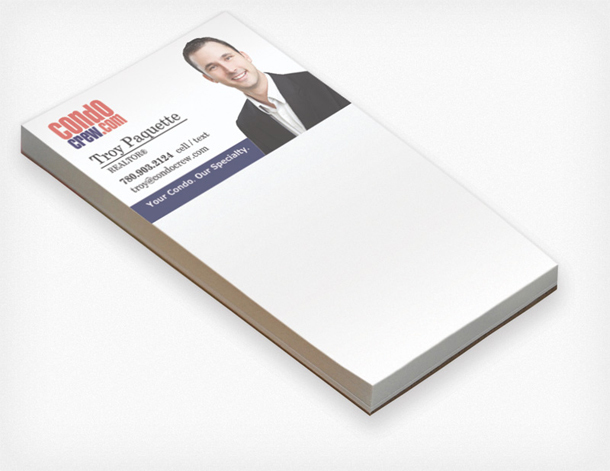 We Can Design Your Notepad for $79! 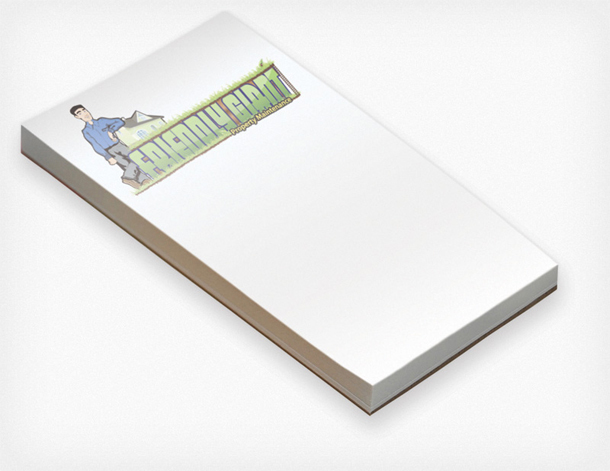 We offer design for Notepad at a low flat-rate cost! This includes your first draft design plus up to 4 revisions for 5 total versions - usually this is more than enough 95% of the time. Extra rounds of revisions will cost $10 each. 70 lb refers to the weight or thickness of the paper. Standard office printer paper (often called 20 lb) is equivalent to about 50 lb by this measurement. So this is a bit thicker and more professional than some notepads which are often printed on 50 or 60 pound paper and very rarely any thicker than 70 lb. Do your Notepads have a backing? Yes! 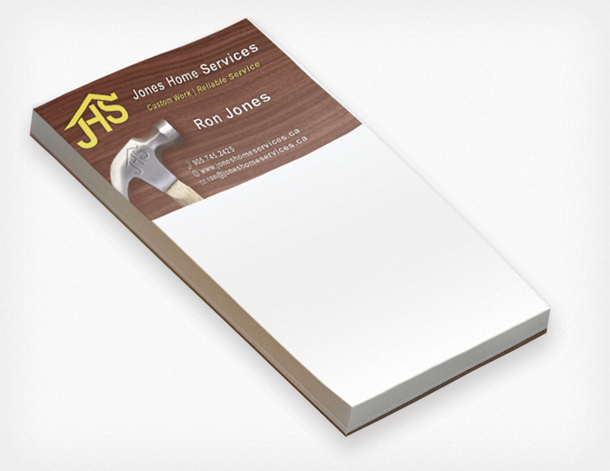 Each notepad has a thick chipboard backing. .